Comfortable outdoor jacket for short hikes and everyday outdoor life, light and simple design without unnecessary details that add weight. Gives the perfect protection against cold winds but only takes up a little space when it is packed away. 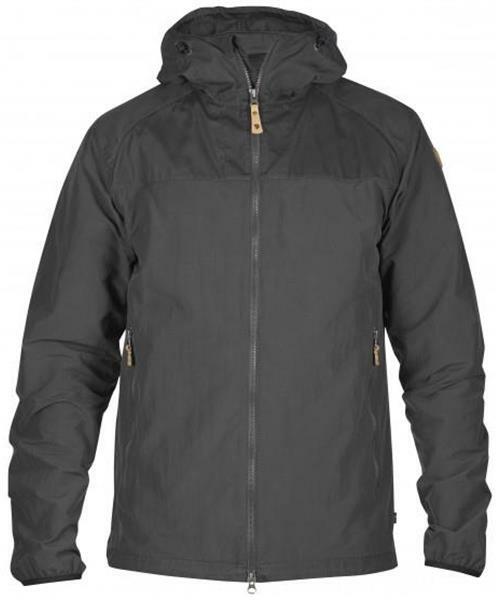 Made from fast-drying MT with shoulders, hood and lower hem in G-1000 Lite for extra protection against wet and wear. Fixed adjustable hood with simple adjustment around the face. Two-way zipper at the front with a protective flap on the inside. For extra ventilation there is a mesh opening in the yoke and sewn ventilation holes under the arms. Two hand pockets, elastic band at the sleeve cuffs and drawcord adjustment at the lower hem.